The best free photo editors can transform your snaps from 'OK' to 'amazing', but there are so many programs around it can be hard to know which is the best for you. That's why we've spent hours putting a huge range of photo editors to the test, and picked out the best ones for any level of skill and experience. From powerful software packed with features that give Photoshop a run for its money to simple tools that give your pictures a whole new look with a couple of clicks, there's something for everyone. Many free photo editors only offer a very limited selection of tools unless you pay for a subscription, or place a watermark on exported images, but none of the tools here carry any such restrictions. Whichever one you choose, you can be sure that there are no hidden tricks to catch you out. Note that if you're looking for a way to optimize images for your website, there's no need to process them all individually - just enter your URL into the Image Optimization Tool from WebsiteToolTester, and the web app will check for any images that can be compressed. Once it's finished, you'll be provided with a link to download the optimized files in a ZIP archive. GIMP (the GNU Image Manipulation Program) is the best free photo editor around. 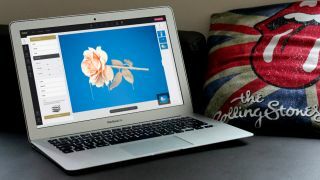 It's packed with the kind of image-enhancing tools you'd find in premium software, and more are being added every day. GIMP’s interface will be instantly familiar if you have ever used Photoshop or other premium photo editing software – especially if you select the single-window mode, which lays out all its toolbars and canvases in an Adobe-style layout. GIMP is an open source free photo editor, and its community of users and developers have created a huge collection of plugins to extend its utility even further. Many of these come pre-installed, and you can download more from the official glossary. If that's not enough, you can even install Photoshop plugins. More is not, believe it or not, always better. Paint.NET's simplicity is one of its main selling points; it's a quick, easy to operate free photo editor that's ideal for trivial tasks that don't necessarily justify the sheer power of GIMP. Don't let the name fool you, though. This isn't just a cheap copy of Microsoft's ultra-basic Paint – even if it was originally meant to replace it. It's a proper photo editor, just one that lands on the basic side of the curve. Paint.NET’s interface will remind you of its namesake, but over the years, they’ve added advanced editing tools like layers, an undo history, a ton of filters, myriad community-created plugins, and a brilliant 3D rotate/zoom function that's handy for recomposing images. It might not have every feature you can dream of, but if your machine is a little underpowered we can't think of a better free photo editor. Photo Pos Pro isn't as well known as Paint.net and GIMP, but it's another top-quality free photo editor that's packed with advanced image-enhancing tools. This free photo editor's interface is smarter and more accessible than GIMP's array of menus and toolbars, with everything arranged in a logical and consistent way. If it's still too intimidating, there's also an optional 'novice' layout that resembles Fotor's filter-based approach. The choice is yours. The 'expert' layout offers both layers and layer masks for sophisticated editing, as well as tools for adjusting curves and levels manually. You can still access the one-click filters via the main menu, but the focus is much more on fine editing. Photo Pos Pro also includes a clone brush for erasing unwanted blemishes, and there's extra support for batch-editing and scripts to help you save time when refining a whole folder of photos. The free edition of Photo Pos Pro only has one drawback: files can only be saved at a maximum resolution of 1,024 x 2,014 pixels, which might be too small if you're planning to have them printed professionally. If you want to remove this restriction, Photo Pos Pro Premium is available for a license free of £24.50/US$24.90/AU$41.89. PhotoScape might look like a rather simple free photo editor, but take a look at its main menu and you'll find a wealth of features: raw conversion, photo splitting and merging, animated GIF creation, and even a rather odd (but useful) function with which you can print lined, graph or sheet music paper. The meat, of course, is in the photo editing. PhotoScape's interface is among the most esoteric of all the apps we've looked at here, with tools grouped into pages in odd configurations. It certainly doesn't attempt to ape Photoshop, and includes fewer features. We'd definitely point this towards the beginner, but that doesn't mean you can't get some solid results. PhotoScape's filters are pretty advanced, so it's if good choice if you need to quickly level, sharpen or add mild filtering to pictures in a snap. Canva is a photo editor that runs in your web browser, and is ideal for turning your favorite snaps into cards, posters, invitations and social media posts. If you're interested in maintaining a polished online presence, it's the perfect tool for you. Canva has two tiers, free and paid, but the free level is perfect for home users. Just sign up with your email address and you'll get 1GB free cloud storage for your snaps and designs, 8,000 templates to use and edit, and two folders to keep your work organized. You won't find advanced tools like clone brushes and smart selectors here, but there's a set of handy sliders for applying tints, vignette effects, sharpening, adjusting brightness, saturation and contrast, and much more. The text editing tools are intuitive, and there's a great selection of backgrounds and other graphics to complete your designs. If you need to make graphics, cards and flyers for a business, it's worth checking out Canva for Work, which costs $12.95 (about £10, AU$18) per person per month. For that, you get access to hundreds of thousands of stock images, the ability to export animated GIFs and unlimited storage. Fotor is more a photo enhancer than a full-fat manual editing tool. If there's specific area of retouching you need doing with, say, the clone brush or healing tool, you're out of luck. However, if your needs are simple, its stack of high-end filters that really do shine. There's a foolproof tilt-shift tool, for example, and a raft of vintage and vibrant colour tweaks, all easily accessed through Fotor's clever menu system. You can manually alter your own curves and levels, too, but without the complexity of high-end tools. Fotor's most brilliant function, and one that's sorely lacking in many free photo editors, is its batch processing tool – feed it a pile of pics and it'll filter the lot of them in one go, perfect if you have a memory card full of holiday snaps and need to cover up the results of a dodgy camera or shaky hand. Most browser-based free photo editing tools are simple Instagram-style affairs that give you a set of filters and little else. Pixlr Editor is different. Provided you have a reliable internet connection and don't mind the lack of plugins, this free web app is almost as powerful as the best free desktop photo editors. Load up a photo and you'll have access to layers, masks, clone stamps, selection tools, and everything else you'd expect from a top-notch image editor. There's no batch-editing unfortunately, but you can open several pictures at once and edit them individually. Unfortunately, Pixlr Editor has one major disadvantage: it requires Flash to run. That's not too much of a problem at the moment, but more and more browsers are beginning to deactivate Flash by default, and Adobe is planning to end support for the plugin before too long, which will render Pixlr Editor obsolete. It has been superseded by Pixlr X (below), but unfortunately this is a less powerful free photo editor. Pixlr X is the successor to Pixlr Editor. It's a superb photo editor (and uses HTML5 rather than Flash, so you can run it in any modern browser), but the two are very different. Pixlr X is slick and well designed, but has more in common with Adobe Photoshop Express. It allows you to make fine changes to colors and saturation, sharpen and blur images, apply vignette effects and combine multiple images, but it doesn't have the same huge toolbox as Pixlr Editor. There are no paintbrush or pencil tools, you can't create a new image from scratch or use layers, and there are no healing or red-eye tools for fixing your snaps. If your photos are fundamentally sound then Pixlr X can get them looking great with a few clicks of its sliders, but if you want to get creative or correct problems, Pixlr Editor remains the superior choice. As its name suggests, Adobe Photoshop Express Editor is a trimmed-down, browser-based version of the company's world-leading photo editing software. Perhaps surprisingly, it features a more extensive toolkit than the downloadable Photoshop Express app, but it only supports images in JPG format that are below 16MB. The Pop Color tool is particularly interesting, enabling you to quickly change the hue of a particular part of your image. Fill Light is a welcome addition too, helping compensate for photos taken in less than ideal lighting conditions. On top of those, theres a healing brush, automatic color correction, and manual adjustment of white balance and exposure – all very slick and simple to use. Free online photo editor piZap is available in both HTML5 and Flash editions, making it suitable for any device. You can choose to work with a photo from your hard drive, Facebook, Google Photos, Google Drive, Google Search, or a catalog of stock images. This is an impressive choice, though some of the stock images are only available to premium subscribers, and you'll need to watch out for copyright issues if you use a pic straight from Google Images. When you’re done, you can share your creation on all the biggest social media networks, as well as piZap’s own servers, Dropbox and Google Drive. Alternatively, you can save it to your hard drive, send it via email, or grab an embed code. You can only export your work in high quality if you’ve opened your wallet for the premium editor, but for silly social sharing that’s unlikely to be a problem.